Our mission is to provide a location and facilities for faculty, students, and visiting scientists to conduct research and educational programs that increase public understanding of southwest Missouri ecosystems. The Bull Shoals Field Station operates on the shores of Bull Shoals Lake within the Drury Conservation Area. Our facilities consist of two residential structures, an outdoor shelter, a wet lab, a classroom, and a large garage. We maintain a weather station near the field station that measures and records climatological data including air and soil temperatures, wind direction and speed, fuel temperature and moisture, precipitation, and calculates evapotranspiration. The current weather station has been in operation since 2002. We upgraded the probes and data logger in 2014. 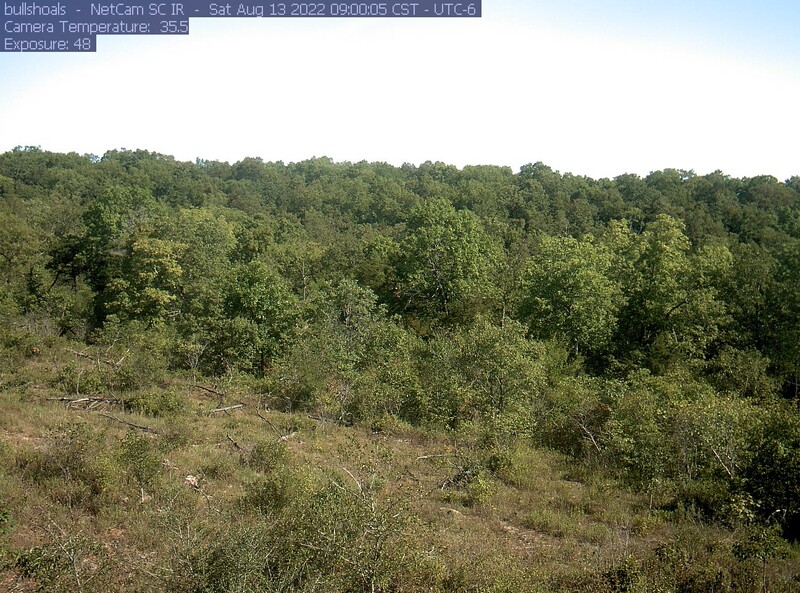 A canopy camera or PhenoCam records phenological events such as forest canopy development and senescence. Our clientele consists of university classes from Missouri State and classes from other universities in Missouri, Arkansas, and Kansas. We offer undergraduate and graduate courses in the summer and during intersession periods between semesters. Each summer, we operate a week-long conservation biology and leadership development residential program for 16 high school students from southwestern Missouri. The Green Leadership Academy for Diverse Ecosystems (GLADE) enters its ninth year of operation in 2017. Researchers, faculty, and students find comfortable accommodations at either of our houses and access to 5600 acres of public lands to study animal, plant, fungal, protist, and bacterial life forms in a wide variety of habitats from glades, grasslands and forests to streams, ponds, and the lake. Individual research, classes, small conferences, retreats, and educational events can be scheduled by contacting the BSFS staff at JaniceGreene@MissouriState.edu.